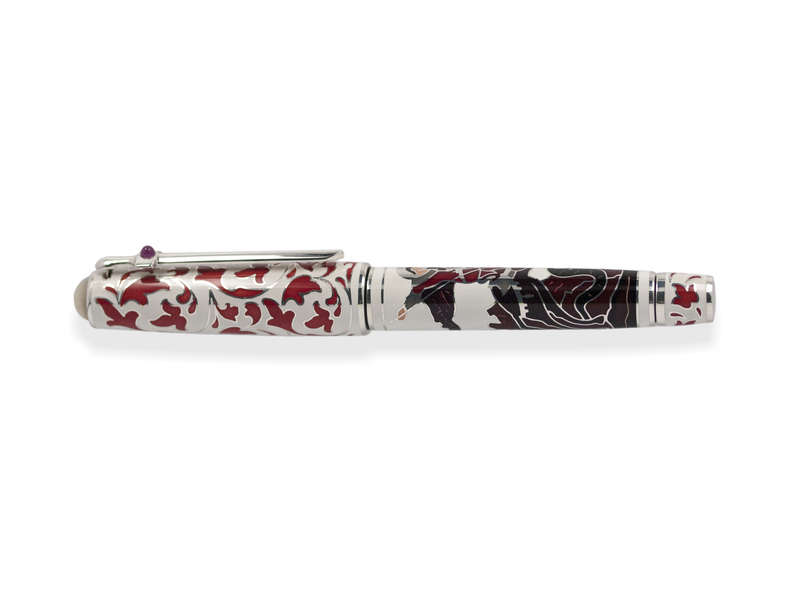 Iguana Sell Pens | New Omas St. George Limited Edition Fountain Pen! 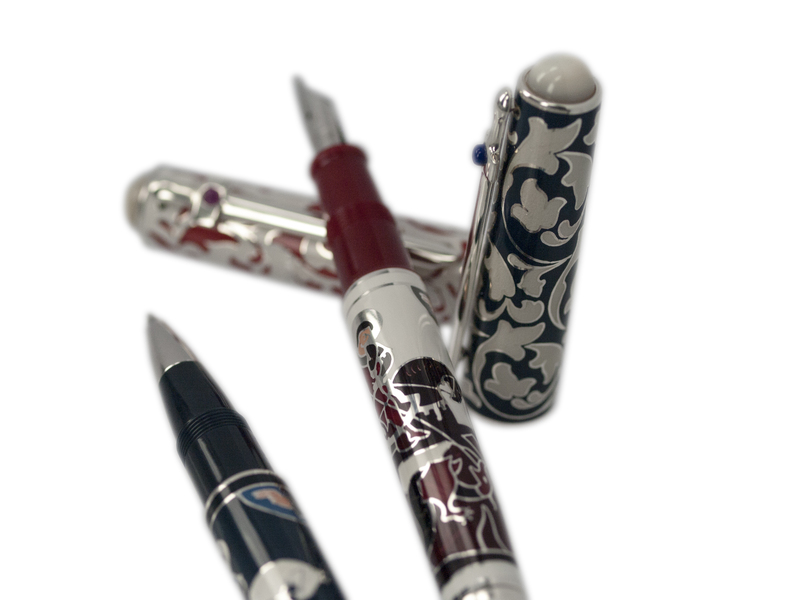 We are glad to present this new collection of Omas, the St. George 2014. 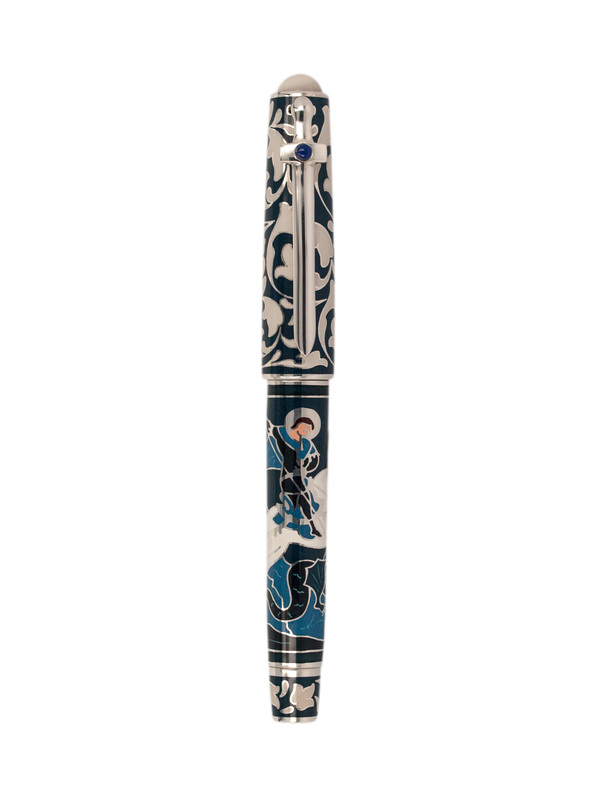 In 2004 OMAS launched one of its greatest successes, St. George Limited Edition which quickly became one of the most rare and refined masterpiece in great demand by enthusiasts and pen collectors. 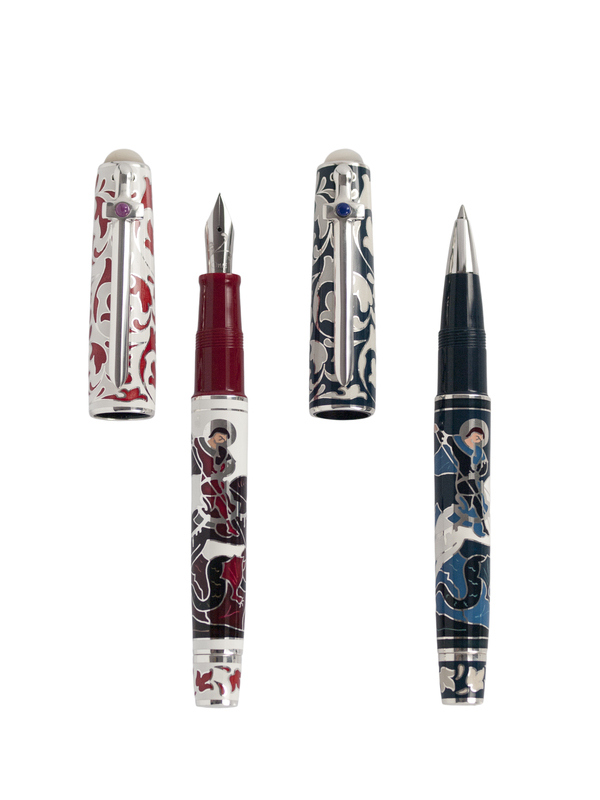 Today, ten years after the first edition, OMAS presents a new special St. George Limited Edition based on the famous model but interpreted in new colors tones and nuances. As ten years ago, the design of this Limited Edition comes from the icon “St. George and Dragon” preserved in the State Russian Museum in St. Petersburg and declares itself as a tribute to customs and spirit of Russia and Moscow’s Divine Patron. On a splendid horse, the Moscow Divine Patron dominates the scene: the strength of the love message guides him in his heroic deed, the kill of the dragon. 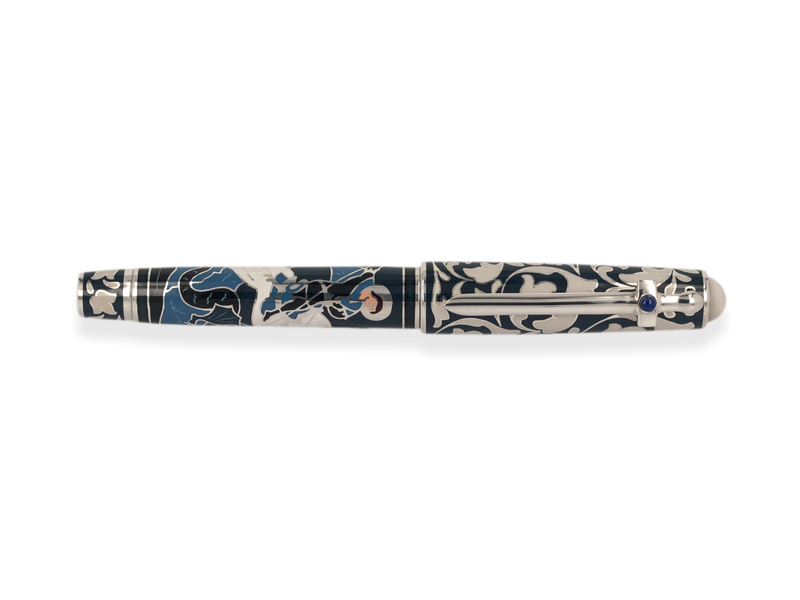 Only thanks to a high-end chiseling process and exceptional craftsmanship, the scene of the injury of the dragon on the barrel and a harmonious flow of floral designs on the cap have been reproduced so minutely. The sword-shaped clip is symbolic and also recalls, a medieval sword. 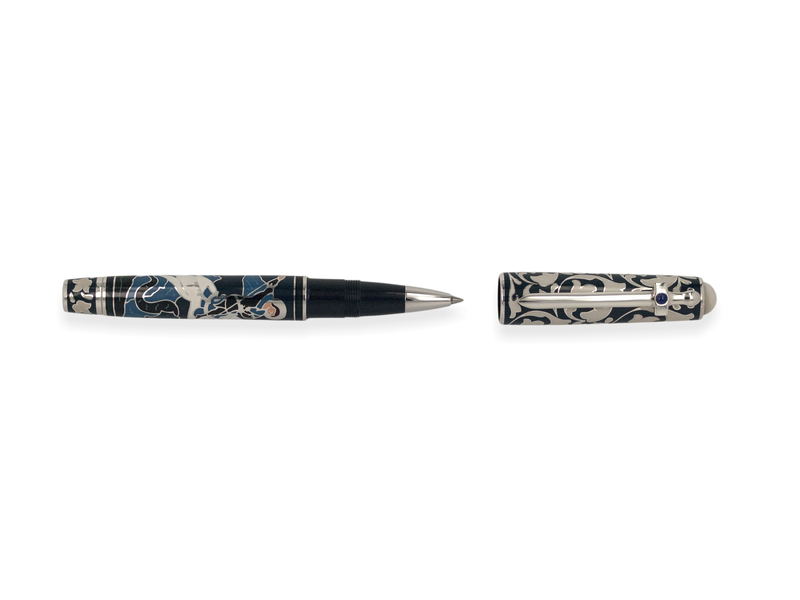 The Limited Edition, made entirely of Silver with mother of pearl cabochon on top of the cap is available in two enamel colors and stones: blue and white enamel with lapis lazuli on the clip, white and red enamel with ruby on the clip. 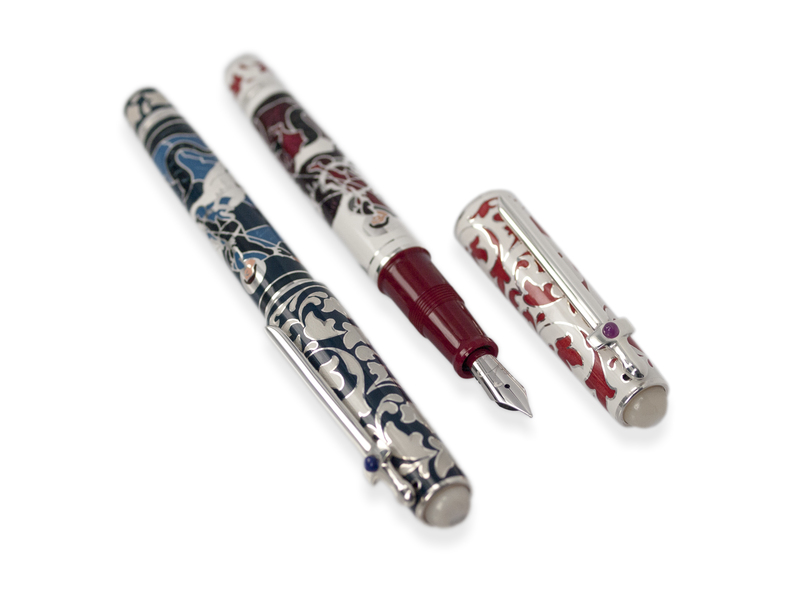 A precious Limited Edition that combines the beauty of a world away in time with an exclusive writing instrument: Numbered Limited Edition of 100 Piston Filled Fountain Pens and 100 Roller Balls for each color. Even with this new Limited Edition we like to live the experience of handwriting as a personal enrichment, aimed at leaving our “sign” over time.